That’s the only question I want to have to answer Thursday, as I celebrate Cinco de Mayo here in Hawaii — a day dedicated to Mexican culture, music, food, and (as I’ve just learned) a historic battle. In fact, Cinco de Mayo is actually observed to commemorate the Mexican army’s unlikely victory over French forces at the Battle of Puebla on May 5, 1862, under the leadership of General Ignacio Zaragoza Seguín. On Oahu, the FREE “Cinco de Mayo Hispanic Celebration” Block Party Festival will be held at the Hawaii Events Center (985 Dilingham Blvd). 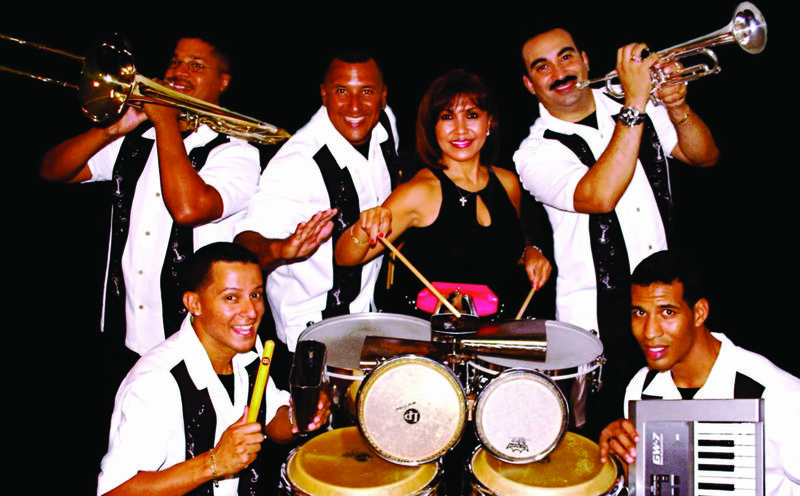 On Thursday, May 5th, a “Latin Dance Party” will take place from 8 p.m. to 4 a.m. (21+). 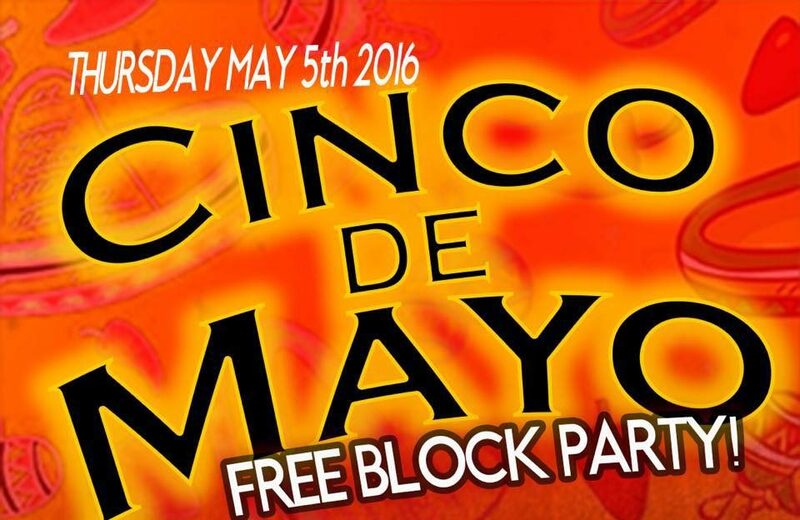 On Saturday, May 7th, there’s a Free Block Party from 5pm-11pm and a Cinco Fiesta After Party from 11pm-2am (18+). The event theme emphasizes the cultural aspect of Cinco de Mayo. The Fiesta will be decorated with flags, pinatas, sombreros and Mexican colors. The Hispanic Heritage Festival and Events will have a booth sharing bilingual materials on their cultural and community services. Live entertainment on two stages including Son Caribe, Mexican Ballet Folkloric Dancers, Samba dancers and much more. Two DJ stages with DJs from KPRP, 650AM Alma Latina and Discoteca Stage. Keiki Corner with Games, Prizes, Pinatas, face Painting & other Fun things. A wide selection of food booths serving nachos, tamales, chili, burritos, tortillas, frijoles, ceviche and pasteles. Margarita booths plus Cold Cerveza booths with Corona, Corona Light. “Over 21″s will be carded and $5 drink wristbands will be required for enjoying alcoholic beverages. At the Cinco de Mayo Block Party in Honolulu, the Fiesta will be decorated with flags, pinatas, sombreros and Mexican colors. The Hispanic Heritage Festival and Events will have a booth sharing bilingual materials on their cultural and community services. Also on Oahu, Cha Cha Cha Salsaria in Hawaii Kai will host a Cinco de Mayo party inside their restaurant, but also out on the lawn. The party will feature live music, dancing, $5 sangria and $6 salsa blue margaritas. On Maui, a Cinco de Mayo Celebration will be held at Sangrita’s Grill and Cantina on May 5th from 6-9:30 p.m. The event will benefit the Lahainaluna High School Agricultural Program and will feature an old-fashioned, outdoor preparation of Tacos al Pastor. A Live Flamenco Music with Indio and Avi 6:30 – 8:30 pm. The Cinco de Mayo Block Party in Honolulu will feature live music, including the band Son Caribe. On the Big Island, check out Lucy’s Taqueria in Hilo for a Cinco de Mayo Dance on Friday, May 6th. The event will be held from 9 p.m. til 1 a.m., and you can eat, dance, and be merry all night long. A live D.J. will be in-house, and there will be plenty of room to boogie — the restaurant plans to move all the tables and create a giant dance floor. And come hungry! Lots of great grindz (food) to choose from! On Kauai, the Verde Mexican Restaurant is running some major drink specials to celebrate Cinco de Mayo. Pay them a visit to enjoy $3 house margaritas and $5 shots Espolon tequila. If you’re looking for Cinco de Mayo events in Hawaii (and you love a good margarita special), you have choices, no matter what island you’re visiting. Just make sure to book your Hawaii activity the next day for the afternoon — those margarita specials have a dark side, too!